If there is a category of whisky that aficionados are quick to defame, its Canadian whisky. Unfortunately, most of the negative stigma towards Canadian juice comes from the days in the early part of the 20th century when Canadian distilleries were simply shipping in hellacious swill from north of the border. In some ways, that legacy lingers in that most Canadian whisky is used in mixed drinks, but there are also a number of Canadian whiskies that are well worth drinking neat for their own merits. It is those whiskies I will be nominating here. 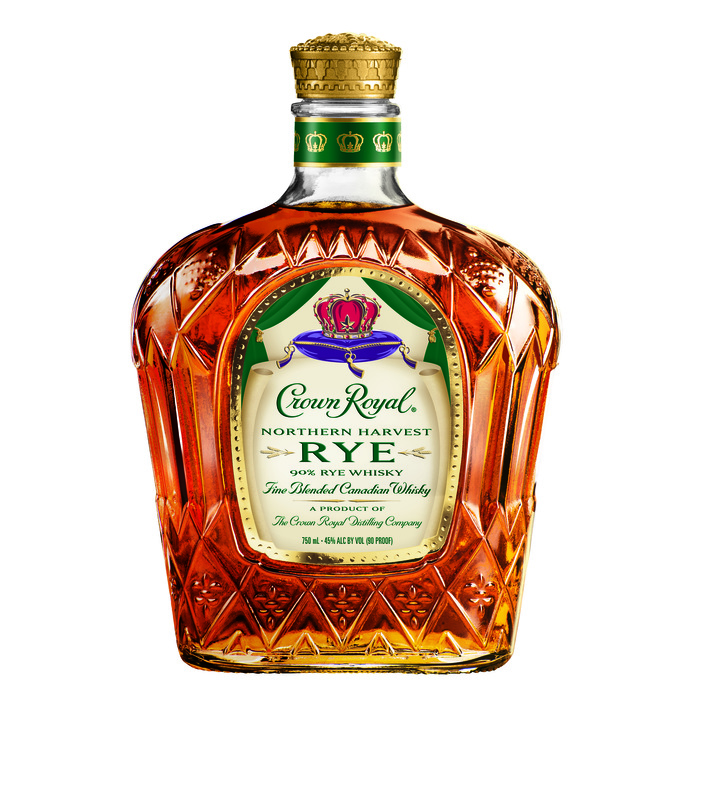 Notes: This bottling was a limited edition to commemorate the 75th Anniversary of the Crown Royal brand. There were several batches of this whiskey, and some of them may still be available if you look hard enough. This particular batch was a rye-forward whisky that provided a very dry palate with a lot of rye spices and drying oak. There was also some bitter dark chocolate and mocha, all balanced out by a lovely mango sweetness working its way through the whisky. I only tried this one batch, but it was a worthwhile whisky for sure. Notes: This whiskey was the first release in Crown Royal’s Noble Collection, and it did not disappoint. It is comprised of a corn whisky, a rye whisky, and a Coffee still whisky, blended together and shipped out in the iconic Crown Royal purple pouch. This whisky is creamy all the way through with typical Crown Royal flavors of cherry vanilla and bitter oak. The balance in this whisky is fantastic. As this was a limited release, if this whisky interests you, go and get it now. Notes: This is a cornerstone of Crown Royal’s Master Series, and its long been a go to gift bottle for me. The flavors presented here are often crowd pleasers, dried pineapple, raisins, drying oak, and sautéed pears. This is not an immensely complex whisky, but the flavors are well-presented and delicious. This is certainly a benchmark of Canadian whisky, and it is readily available in almost every liquor store across America. Notes: This is a rye whisky out of the Hiram Walker distillery in Ontario, and although there is no age statement, most of what I have read indicates that this whisky is bottled around 7-8 years of age. This is a classic rye profile, with fresh cut evergreen trees, vanilla extract, and freshly baked rye bread. This can be a hard whisky to find in the United States, but I’m told that if you head north of the border, it’s not too hard to wrangle yourself up a bottle. Notes: Some time ago, a dear friend of mine’s grandfather tragically passed away sitting on a rather eclectic collection of spirits, some in miniatures, some in larger bottles, and my dear friend was kind enough to pass some of the whiskeys on to me. One such whisky was this bottle of Wiser’s 18, which I have not been able to put a concrete date on, but as best I can figure it, this whisky was bottled around the mid-70’s. Cracking this bottle open was a real treat and so was the whisky inside. Unlike most Canadian whiskies nowadays, which are rye-based, this one tasted like it was based in malted barley. Some of the heather notes common in Scotch single malts were present, coupled with a nutty sweetness, baking spices, cinnamon apples, orange peels, and creamy Amontillado sherry. Nowadays, it is rare to find a Canadian whisky with any sherry influence, but forty years ago, sherry was a much more common drink, so sherry butts were easy to come by, not like today when sherry butts are a prized commodity for aging whisky. Unless you are lucky enough to find a dusty bottle of this stuff, it’s gone for good, but it was a damn fine whisky. There is no section of my local liquor store expanding quite so rapidly as American craft whiskey. New distilleries seem to be emerging every day, as do new whiskeys. I have to admit that I have not been impressed with all of it, but I have really enjoyed some of the craft whiskeys released in the United States over the last few years. Notes: This was one of the first batches of Texas Single Malt released, and it did not disappoint. This whiskey elicited rich banana bread notes, a nutty sweetness, and a rich berry creaminess. This whiskey really worked to forge a new style all its own, and it worked beautifully. The only caveat to this nomination is that I have tried a few successive batches of this whiskey that I have not liked nearly as much as I liked this first batch. That said, this particular batch was brilliant whiskey. “1” Texas Single Malt is available on a limited basis the further one gets from Texas. Notes: This whiskey is a blend of three different malted barley samples, one smoked over cherry wood, one smoked over peat, and one smoked over beechwood. The resulting whiskey is a unique take on smoked malt whiskey, yielding flavors of fiery peat, sweet barley, and freshly cut oak. This is definitely a young whiskey that is a little rough around the edges, but the flavors are unique and they are bursting out of the bottle. This is a hard whiskey to find, but if you do, it’s worth a try. They are not too many like this one floating around. Notes: This rye is made in the authentic Pennsylvania style, meaning that corn is not included in the mashbill as found in Kentucky ryes. Dad’s Hat is then aged in new oak quarter casks for a minimum of 6 months. You would probably think that after only 6 months, this whiskey would be hot and brash, but it is nothing of the sort. Even at its young age, this is a quality whiskey, with cocoa dust, rich black cherries, fresh oak shavings, and white chocolate. This is one of those whiskeys that is really good and gets you really excited about tasting such a well-made spirit at an older age (Dad’s Hat will be rolling out a 3 year-old rye this spring). This whiskey was awarded “Craft Whiskey of the Year” by Whisky Advocate magazine for good reason. It is widely available in the mid-Atlantic, but gets harder to find the further one is from Pennsylvania. Notes: I had trouble decided whether or not High West belonged in the American Craft Whiskey category or not, but as they were undoubtedly one of the pioneers of the American craft movement, I have included their whiskeys here. This particular whiskey is a blend of a rye whiskey, a bourbon, and a peated blended malt Scotch from an undisclosed source. The result is something both unique and special. Sweet flavors such as caramel, honey, and vanilla are present, as are herbal flavors like pine and juniper. All these flavors are accented wonderfully by a twinge of rolling smoke. This whiskey is widely available; you can find it in almost any liquor store where High West products are sold. Name: High West Double Rye! Notes: Double Rye! is made at the High West Distillery in Utah by marrying two different whiskeys – a 95% rye mashbill, 2 year-old whiskey from MGP in Indiana, and a 16 year-old, 53% rye mashbill from the Barton Distillery in Kentucky. The resulting whiskey is a tour-de-force of rye flavors. All the spice cabinet range of a great rye is present here, but it is all buttressed by rich honey and vanilla notes to round out a great profile. The great part about this rye is that it is available almost everywhere in the United States, and it won’t break the bank. I recently had the opportunity to visit Mountain Laurel Spirits in Bristol, PA, where Dad’s Hat Pennsylvania Rye is distilled, aged, and bottled. I loved my time there and will definitely be back. In my experience with various alcohols, it’s a great feeling when seeing the alcohol being made lends a greater appreciation to the beverage itself. So it is with Dad’s Hat Rye for me. The distillery is brimming with history. There are old, dusty bottles lining the bar and black and white pictures of Pittsburgh bartenders serving Pennsylvania’s finest (rye that is). Dad’s Hat is made the Pennsylvania way, with just rye and malt, and every care is taken to create the finest, most authentic product possible. Both the distillery and the whiskey emerging from it have perfectly blended the technology of modern distilling with the tradition of Pennsylvania rye. Mountain Laurel Spirits is a throwback to the old industrial distilleries of historical Pennsylvania. There is an ancient mystery to the distillery when you visit it, as if you’ve been transported back in time 100 years to a time when American whiskey drinkers loved rye. The founders’ love of Pennsylvania rye seems to seep out of the walls, themselves. In fact, the history of rye whiskey in the commonwealth hangs on the walls behind the wooden bar through old bottles, jars, pictures, and other memorabilia. The distillery itself is in an old, industrial area of greater Philadelphia, surrounded my old homes and old buildings. There is even history oozing from the Master Distiller, Herman Mihalich. Herman is a Pennsylvania native whose parents ran a bar in greater Pittsburgh in the days when Pennsylvania rye ruled the American whiskey market. Pennsylvania rye was in Herman’s blood from day one, and that comes through when you are lucky enough to converse with him on the subject. There is a deep emotional connection to the spirit for him, lending a care and attention to detail necessary for a great whiskey (a lifetime’s experience as a chemical engineer doesn’t hurt either). I have reviewed two Dad’s Hat whiskeys to this point (Pennsylvania Rye & Vermouth Finish), enjoying both of them. The third whiskey in their current portfolio is their Port Finish, a whiskey that defies the category of rye entirely. It is sweeter than you would expect from a rye whiskey, but there is some wood and spice enough to round it out. Its best function is as a digestif with a rich, slightly tart slice of cheesecake. Trust me on this one; no need to thank me. Dad’s Hat whiskey is one of the few whiskeys matured entirely in quarter casks that manages to come out as an excellent whiskey. This speaks to Herman’s meticulous nature as a distiller, using only the purest heart of his run, and, along with John Cooper, managing their stocks to perfection. If you are wondering if Dad’s Hat is experimenting with full barrels, the answer is a resounding affirmative. Dad’s Hat’s next release will most likely be a straight whiskey, aged entirely in their 53 gallon barrels. I had a chance to sip a few sips from these barrels and my face nearly melted off. The whiskey maintained all of the rye vigor of the standard Pennsylvania rye coupled with an overlay of vanilla and rich berry fruits. I cannot wait until the first bottles of this stuff hits the Pennsylvania shelves. It was a fantastic day down in Bristol, PA, and I am very thankful for Herman for hanging out after the tour to chat a few minutes. Its worth a trip there if you can. If you can’t make it down the distillery, give Dad’s Hat rye a try. It’s what craft whiskey is meant to be. Yesterday, I reviewed Dad’s Hat Pennsylvania Rye in honor of my own father’s birthday week. Today, I am continuing with this trend with a review of Dad’s Hat Vermouth Finish. The base of this whiskey is the standard Dad’s Hat rye. The difference is that this whiskey has spent at least 3 months extra-aging in barrels that previously held Vermouth. In addition, this whiskey has been bottled at the higher proof of 94 (47% abv). The nose has some of the berry sweetness, wood shaving, and chocolate notes of the original, but the sweetness is more to the fore against the sharper rye flavors. The palate has some cherry cola sweetness (without being overpowering or cloying), some rye, mint, and juniper. The finish is longer and spicier than the original in my estimation with a little more rye, cinnamon, and drying gingerbread. Overall, the fingerprints of Dad’s Hat are right there in this whiskey, with some sweetness rolling through it nicely. The vermouth finish on this whiskey is well-integrated, adding a lot to the finished product without taking away the quality of the rye. If you like dry, dusty rye whiskeys, this one might be right up your alley despite its youth. This one is definitely worth seeking out. My grade: B. Price: $40-45/750ml. Like with the Dad’s Hat rye, the age might make the price seem high, but the whiskey in the bottle is worthy of the price point. The new job has definitely made regularly posting (and tasting) a chore, but I should do better in the future. Today, I am reviewing Crown Royal’s new Northern Harvest Rye, a 90% rye mash-bill from north of the border (Gimli Distillery in Manitoba to be exact). There is no age statement on this whisky, but it is bottled at 90 proof (45% abv), which is a move I really like. On the nose, there is some notes of fresh mint leaves, cloves, spearmint, rye spice, and eucalyptus. It’s a pretty straightforward rye nose, with not a lot of complexity, but it is very well-executed and very pleasant. The palate is soft and dry, with good hints of mint and rye, and a bit of caramel sweetness. The finish is dry and medium in length with pleasant rye, vanilla, and caramel lingering. On the whole, I am a big fan of this whisky. It isn’t anything that will blow your mind, but it is a well-built, straightforward rye. If you like rye whiskey, this is a dry rye with a lot of classic rye flavors going on. Crown Royal gets knocked down occasionally by connoisseurs in the whiskey blogosphere, but this is a very fine rye whisky. My grade: B-. Price: $30-35/750ml. If you are looking for a good rye to keep around the house for both cocktails and a fine dram before dinner, this is a great rye to have on hand for such a purpose. Well, needless to say, I was pretty excited when Wild Turkey 101 Rye hit the shelves again after a few years gone from the wide world of rye, almost as excited as I was to see the U.S. soccer team pick up a 2-1 victory over Ghana. This has long been regarded as one of the finest value ryes that you could no longer find in liquor stores. Now, Wild Turkey has rereleased this whiskey, and I am pretty excited to get to review this new release. There is no age statement on this, but I suspect that we are dealing with about a 6 year-old rye here; we do know that this is 101 proof (50.5% abv). The nose on Wild Turkey 101 rye is quite vegetal, but full of spicy rye characteristics. Nutmeg, cinnamon, thyme, licorice, and wood shavings all present themselves. The palate is earthy and a bit vegetal, with some wood, soil, rye bread, and licorice. The finish is long and sweeter than the palate, with honey and vanilla wrapping themselves nicely behind herbal, earthy spices. Overall, this is a fine rye whiskey. It presents a lot of classic rye characteristics with a lot of value. I would also imagine that this would do wonderfully in a rye-based cocktail if that is your cup of tea/whiskey. Either way, this one is definitely worth a try, although I cannot say how it stacks up to what this whiskey was five years ago. My grade: B-. Price: $25-30/750ml. This is most certainly a fine value for a rye whiskey, evident of a great trend for Wild Turkey.